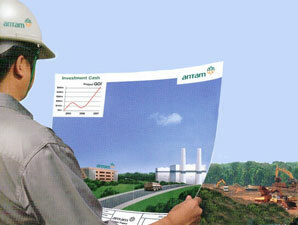 According to PT ANTAM (Persero) Tbk Annual Report 2015 as cited by JobsCDC.com, ANTAM registered a 10% growth in total sales value of Rp 10,531.50 billion in the fiscal year of 2015 (ended in 31 December 2015). ANTAM's total sales value in 2014 worth of Rp 9,420.63 billion. Referring to its annual report, ANTAM’s gross profit in 2015 was down 75.40% at Rp 195.14 billion as compared with Rp 793.36 billion in 2014. Background in Bachelor Degree (S1) with minimum GPA of 2.75 (scale 4), majoring in Mechanical Engineering, Industrial Engineering, Electrical Engineering. Minimum 3 years of experience in the same field of work. Fluent in English both oral and written (minimum TOEIC score of 550 or minimum TOEFL score of 500). Operating knowledge of MS Office software and other programs. Never engage in drug abuse and other law violations. Willing to be placed in all Unit / Business Unit / Subsidiary PT ANTAM (Persero) Tbk. JobsCDC.com now available on android device. Download now on Google Play here. Please be aware of recruitment fraud. The entire stage of this selection process is free of charge. PT ANTAM (Persero) Tbk - ERP Production and Quality Business Analyst Specialist ANTAM April 2017 will never ask for fees or upfront payments for any purposes during the recruitment process such as transportation and accommodation.